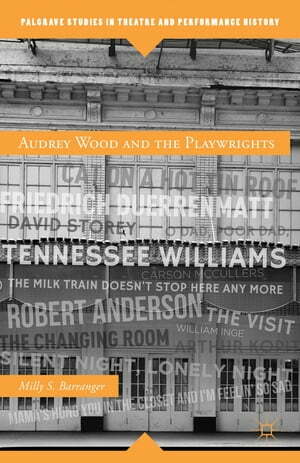 Collins Booksellers - Audrey Wood and the Playwrights by Milly Barranger, 9781137270610. Buy this book online. From Tennessee Williams and Carson McCullers to Arthur Kopit and Brian Friel, New York-based literary agent Audrey Wood encouraged and guided the unique talents of playwrights in the Broadway theatre of her day. Audrey Wood and the Playwrights illuminates the gifts and strategies of the tenacious woman at the Liebling-Wood Agency who melded playwrights with producers, directors, and leading actors and shaped the American theatre and film industry during the mid-twentieth century. Wood's story is told here through her interactions with her clients, now household names, whose works she steered through periods of triumph and failure. In an era when women, with the exception of actresses, were rare in the theatre business, she was known as the "go-to" agent for success in the commercial theater. Dubbed a "guardian agent," her quiet determination and burning enthusiasm brought America's finest mid-century playwrights to prominence and altered stage history.